I’d like to share with you how my pantry has changed through the different seasons of my life. It’s easy to look at the way I run my kitchen now and think “Wow, she’s really got it all together.” But that wasn’t always the case. 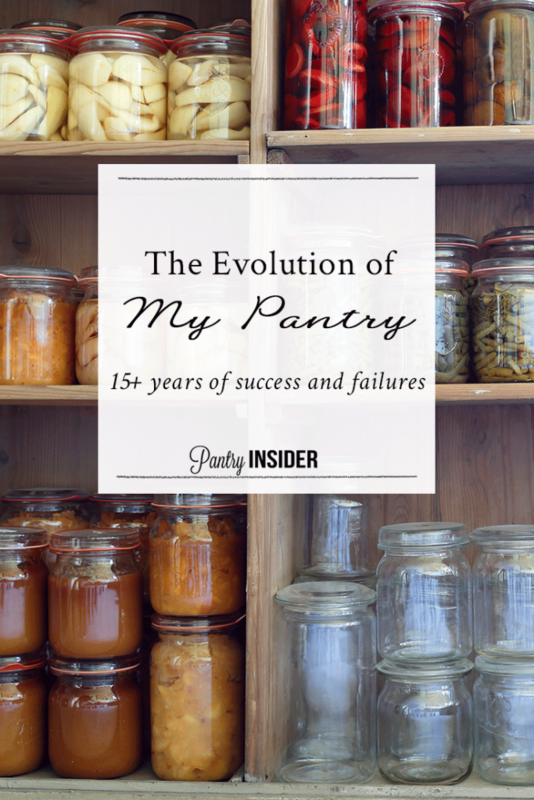 Jon Acuff says, “Never compare your beginning with someone else’s middle.” Today, I want to show you my pantry-beginnings. 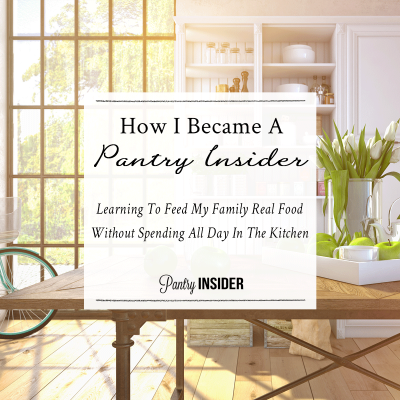 If you’ve ever felt discouraged about your less-than-ideal pantry space, today’s post will encourage you! I was in my mid 20’s when I got married. We bought our first house right away and moved right into it after the honeymoon. We were young and didn’t have a clue about life. We weren’t asking ourselves questions like “Is this a practical house? Will this house grow with us?” In fact, we didn’t even think about the fact that it only had a tiny kitchen and no pantry at all until after we had moved in! 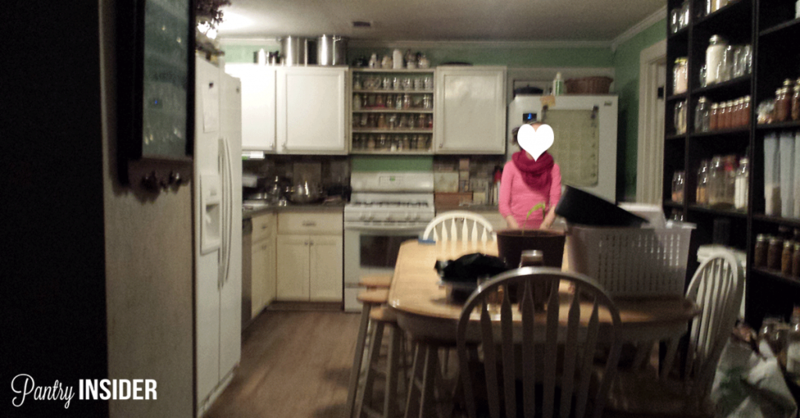 For a while, we kept our food in 2 of the 4 cupboards, but we soon realized that we would need more room. There was no space in the kitchen for extra storage, but there was a good sized laundry room. Since we didn’t have children yet, we hardly had any laundry. One corner of the laundry room was a perfect place to store food! My husband got his tools out and built a nice corner shelf in the laundry room, which served as our pantry until we moved. 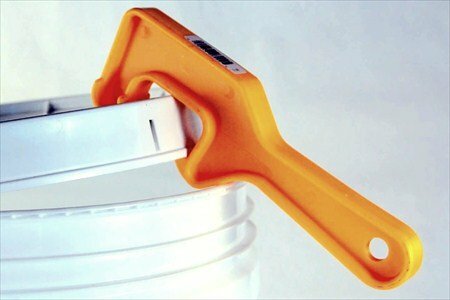 It was super-handy because the shelf was right next to the garage door! We could pull in to the garage, walk in the side door and put the groceries right there on the shelf! Soon our first child came along and it was time to move. Again, we bought the next house with absolutely no foresight. It never crossed our mind that we would one day have a large family and need lots of food storage space! This house had a tiny, tiny closet that I could use as a pantry. It also had a coat closet that someone had installed shelves in. We live in Texas and we need food storage more than we need coats most of the year, so that coat closet became my pantry. It worked well…. for a while. As our family grew and our second child arrived, our food requirements also grew. We live in an old farmhouse with a bedroom right off the kitchen and that bedroom has a really large, walk-in closet. One day it crossed my mind that I could put shelves up in the bedroom closet and create a dream pantry for myself! 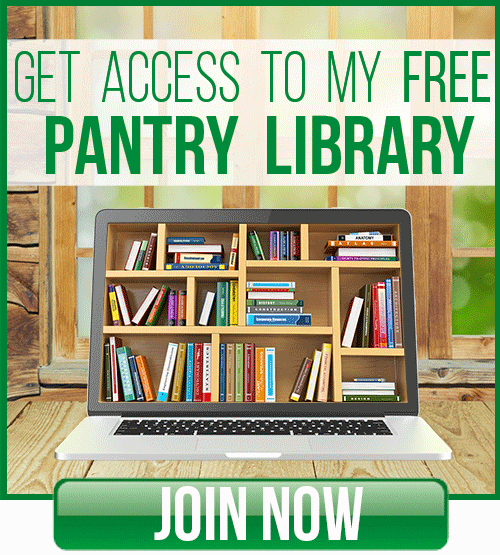 I went to the store and bought shelves that snap together and set my new pantry up the very next day! 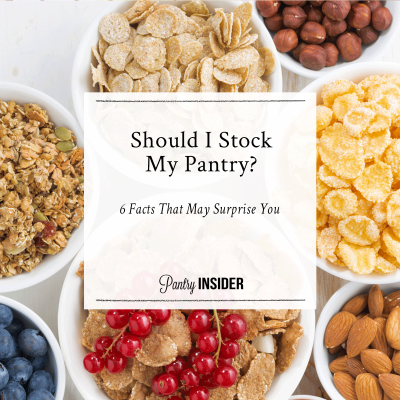 I was in pantry-love! I had lots of space and it was right off the kitchen! The only drawback was that my “pantry” was now located in my guest room and we tend to have a lot of long-term guests. If a guest was in their bedroom, sometimes it was a bit awkward to interrupt my guest and get the food I needed. But it was still a pretty good solution, for a time. Best Marriage Saving Device! Seriously. How clever is this?! I loved the bookshelf pantry system! It was cute and functional. The downside was that it made our kitchen walking area 18″ narrower than it had been. If someone was sitting at the table, there was no space for anybody to walk past! We couldn’t even open the fridge door if someone was sitting there because there was no space! When we decided to take in four extra children for an extended period of time (so 8 children total, in case you’ve lost count! ), we knew we needed that space for walking more than we needed it for food storage. So down the bookshelves came. Now we had a total of 10 people in our home and no reasonable place to put our food! We turned into little squirrels, packing food wherever we could. We took those infamous buckets and stacked them in a corner. It wasn’t attractive, but oh well. We put small shelves in the hallway and put bulk food there. And then we stuffed the cupboards full. The four extra children went home and we had another baby. Now there are 7 of us living here and this is the pantry system we still have today. 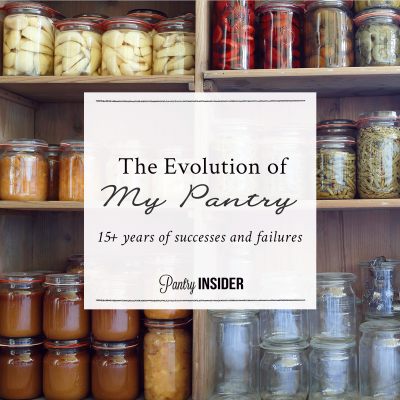 What I want you to take away from my experience is this: Most of us don’t have an ideal pantry space, and that’s ok. Our needs will change over time and we need to be flexible and go with the flow. It’s fun and inspiring to have a Pinterest-Worthy pantry space, but it honestly doesn’t matter. What matters is that we take what we have to create a system that makes it easy for us to feed our family quality, health-giving food. 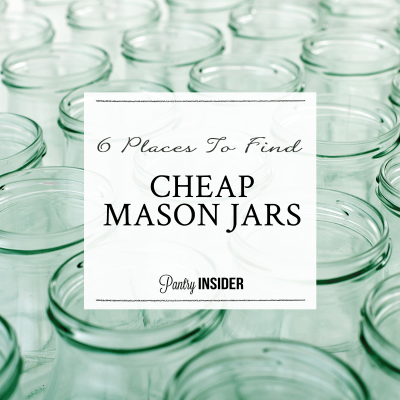 Have you had to make do with less-than-ideal pantry spaces? 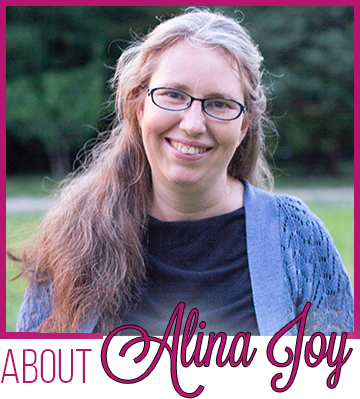 Share your experience in the comments and encourage other readers!